Have you ever tidied madly, only find that all too soon your home or workplace is cluttered again? If so let me share with you the secret of success. This book has been on my radar for about a year. My American Facebook friends loved it and regularly showed pictures of all the things they had thrown away. Naturally curiosity got the better of me and I ended up ordering this book to find out what all the fuss was about. Now I'll admit to being a bit of a hoarder. I have cupboards full of once well loved crap, so the thought of being able to freely throw things away without feeling guilty, didn't seem possible to me. Yet on reading this book, events like below began to happen in my house. These bags are full of clothes. And that was just the start. I found myself being ruthless. The basic principle of of the KonMari method of decluttering is that if something doesn't give you joy or make you happy - get rid of it. Easy, huh! I took one look at my wardrobe and realised I was hoarding clothes that were years old and were never going to fit not to mention ever come back in fashion and quite honestly they were making me miserable. You start by tackling the least emotional areas of your clutter. Clothes were easier than books. My books are a work in progress, but after getting rid of nearly ten fruit boxes full, I think I'm doing OK. I have so many books and I know I will never read them all, so why keep the ones that don't make me feel excited when I pick them up? You are advised to sort your things out by category; gathering everything together first and then sorting them out. That seemed a little long winded to me, so I've actually sorted by area. I still have quite a few areas to go, but I'm determined! Once the discarding commences, may I suggest in investing in some very strong bin bags to put all the crap in, as well as finding out where your local tip is. I don't think the refuse collectors will be remotely impressed by your increase in rubbish and if they are anything like mine, they have a limit on what they will take. When you finish discarding in each category and have thrown the rubbish out, you can start finding new homes for your remaining stuff, which becomes a whole lot easier when you throw so much of it away. 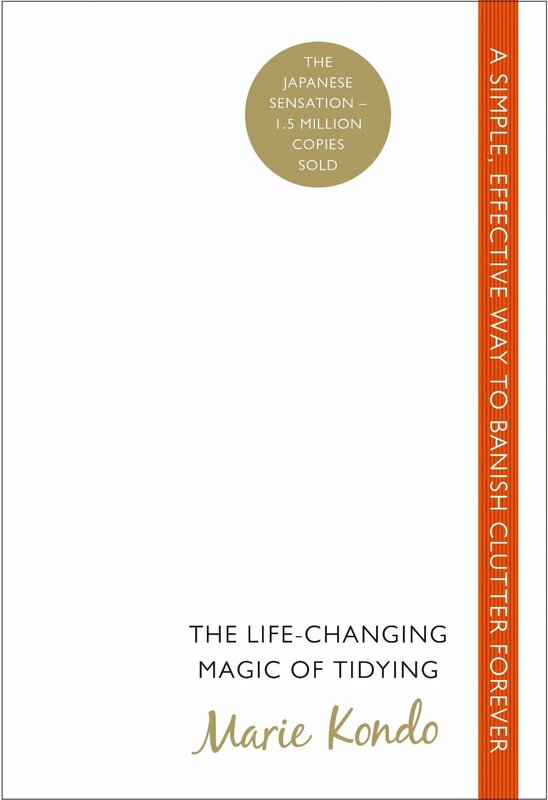 I'm completely converted to the KonMari method of tidying and hope to continue emptying my house. It definitely makes me feel less restricted and I love creating more space in my home.